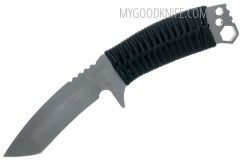 Buy Medford knives at discount prices. Medford Knife and Tool is dedicated to making hand-crafted tools for the most demanding environments man and nature has ever conjured. These are the tools you need to get real work done – be that work in the combat arena, law enforcement or in your workshop or yard. They are a tactical knife company based in Arizona and the construction quality is really second to none. Look to Medford Knives for innovative combat knives and every day carry pocket knives that are world class in materials and workmanship and will serve for generations.